CRM 4.0 Printing Error – This form has been changed and must be saved before printing. One of user posted this error in this CRM thread, we had similar issue some time back and one of my colleagues had resolved this issue. This error comes if you got java script code which is constantly updating some variables in the back ground. This makes CRM Form engine believes that form has been changed so CRM print function will not allow you print CRM form. The solution for this is that we over ride existing CRM print on click event and write function to run this print job manually. Following is example script for Phone call entity. This script needs to put in to the Form On Load Event. Following text version of above code, change the object type code as per your requirement. Note: – This is unsupported change so please make sure you take necessary back up before doing this change. This entry was posted in CRM 4.0, Error and tagged Error, Java Script, Unsupported on May 19, 2011 by mayankp. Getting this error in CRM 2011! 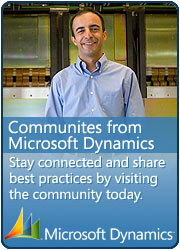 Is there a similar workaround for CRM 2011? I have temporary solution for this, you can right click on the record in list view and click on print and it will print the record.